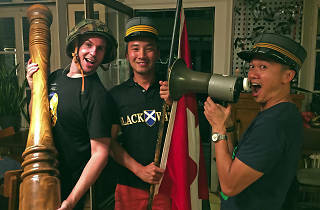 Excellent fondue served by staff wearing Swiss Army uniforms. “What is Swiss-ness?” In a country made up of four languages and cultures, the question continues to baffle. But all the identity crises melt away at this fun themed restaurant. 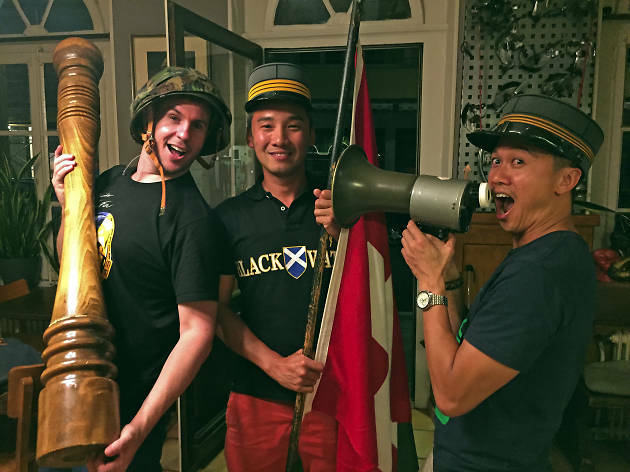 ‘The Three Whistles’ serves its excellent fondue with a solid helping of national pride as staff march in wearing Swiss Army uniforms to the beat of the national anthem. After the meal, diners also get to play dress-up in Swiss national costumes and props. Mon, Sun 6-11pm, Tue-Sat 10am-2pm, 6-11pm.